If the given number is equal to the sum of the Nth power of each digit present in that integer then, that number can be Armstrong Number. For example 370 is Armstrong Number. In this article we will show you, How to Write Python Program For Armstrong Number Using While Loop, For Loop, Functions and Recursion. 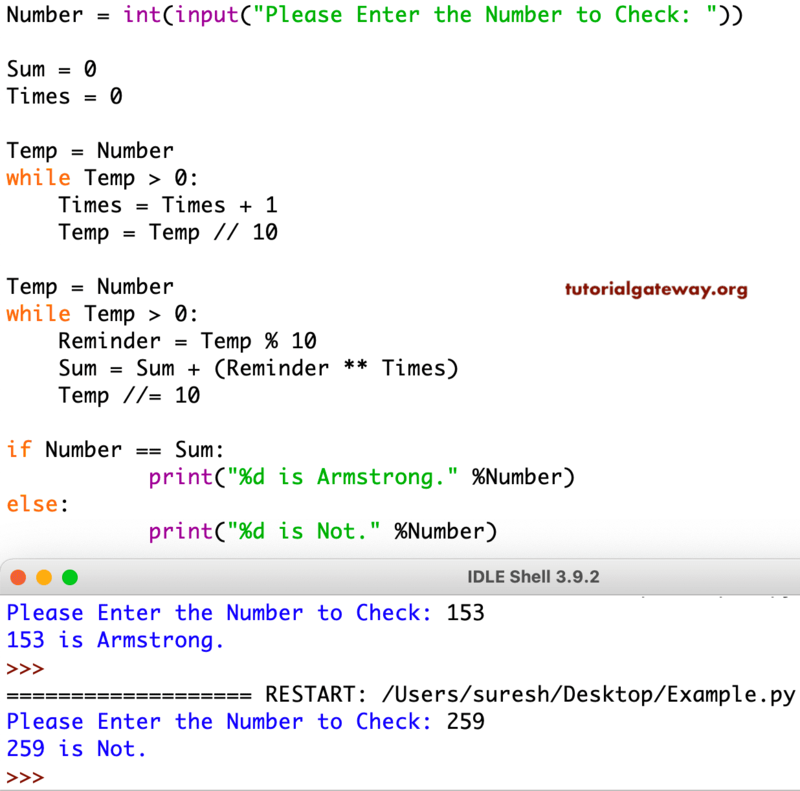 We will also show you, Armstrong Numbers between 1 to n.
This program allows the user to enter any positive integer and then, that number is assigned to variable Number. Below While loop will make sure that, the given number is greater than 0. Statements inside the while loop will split the numbers and counts number of individual digits inside the given number. If you don’t understand the logic, Please refer Python Program to find Number Of Digits in a Number article. 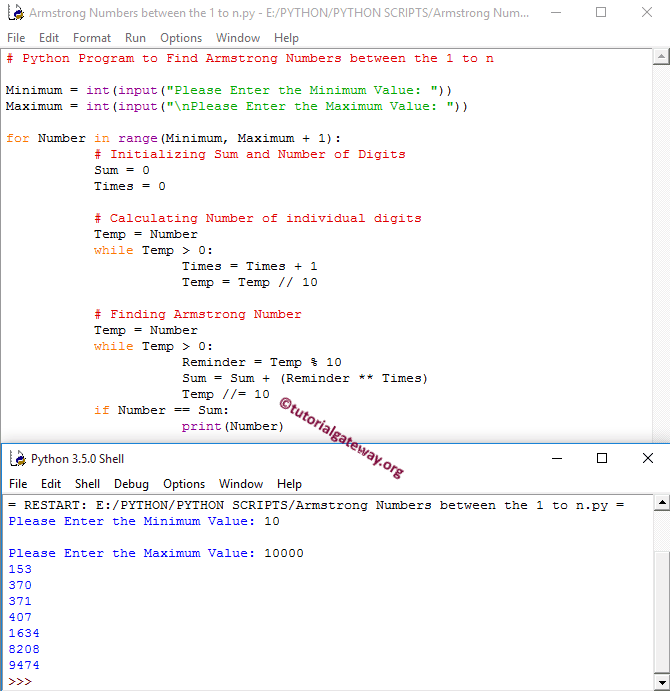 This Python program allows the user to enter any positive integer and then, this program will check whether a number is Armstrong Number or Not using Recursion concept. In this example we defined two recursive functions. Following function will accept integer values as parameter value and count the number of individual digits in a number recursively. This Python program allows the user to enter minimum and maximum values. This program will find the Armstrong Numbers between the Minimum and Maximum values. Following statements present in this program allows the user to enter minimum and maximum values. This For Loop helps compiler to iterate between Minimum and Maximum Variables, iteration starts at the Minimum and then it will not exceed Maximum variable. if(Number == Sum) -– condition will check whether the sum of the power N for each digit present in that integer is equal to given number or not. If this condition is True, then it is Armstrong else the given number is not Armstrong number.